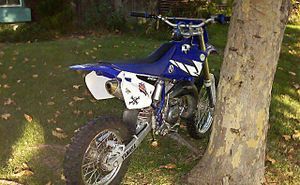 The Yamaha YZ85 is a motorcycle produced by Yamaha from 2000 to 2008. 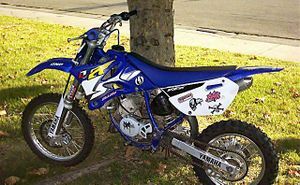 Yamaha launched the first YZ85 in 2001 as a 2002 model with the purpose of completing the YZ range of motocross machines. Their purpose was soon achieved as the bike quickly became one of the most popular “big” toys between riders who begin experiencing their first bumps and corners. 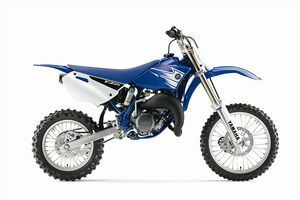 The tradition of Yamaha dirt bikes began way back in 1851 with the birth of Torakusu Yamaha, who founded the Nippon Gakki Company in 1888. Although the company only produced musical instruments, after the Second World War, the company President Gen-ichi Kawakami decided to make use of a production line and tooling that had previously been used to produce aircraft propellers to produce what was the forerunner of the Yamaha dirt bikes produced today. 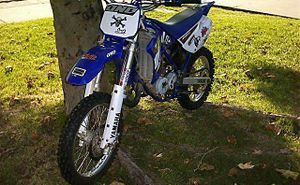 But from propellers to real dirt bikes it was a long way and after the company then separated from Nippon Gakki Co. and became Yamaha Motor Company, the real story began and the first dirt bikes like the YZ250 (1975) and YZ400F (1998) started to exit the production line and being shipped around the world. The model that we are referring to is not that old, being first produced in 2002 but I made this brief history to understand where Yamaha’s legacy comes from. 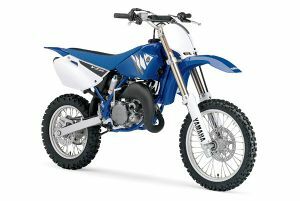 Yamaha YZ85 was first produced in 2002 and it continued being produced without important changes. The bike changed decals and that’s pretty much all concerning its evolution. Although the bike is very powerful developing more horsepower than expected, the other Japanese motorcycle manufacturers didn’t stay behind as they know how important is for a rider to maintain a certain line during its riding years and they have to be impressed right from the start. In order to obtain a certain clientele, Honda produces CR85R (probably the biggest competitor for Yamaha), Suzuki entered the scene with its RM85 (a cheaper motorcycle with much to offer) and Kawasaki presented us KX85 (an even cheaper bike with as much to offer as the Suzuki). This page was last edited on 28 November 2010, at 22:57.